The forthcoming FTA Safety in Logistics Conference is to focus on helping managers secure engagement with all employees on health and safety. 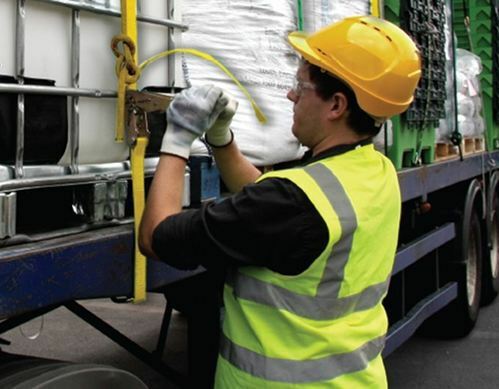 The underlying aim of the Freight Transport Association (FTA) event is to ensure that managers with a responsibility for health and safety within transport and logistics, are provided with a full insight into key industry initiatives, best practice and enforcement focus areas, and to help introduce a safety culture of ‘from-the-top-down’ is embedded in their own organisations. The key issue of managing the risk for cyclists and other vulnerable road users will also be included within the FTA Safety in Logistics Conference programme. Two presentations are scheduled, and will look closely at the subject from two different perspectives; that of the operators view, and the vulnerable road user distribution standard. The two keynote speakers who will address the delegates on the issues for vulnerable road users will be Dean Clamp, SHEQ Director at Wincanton, and FTA’s Head of Urban Logistics Policy - Christopher Snelling. The conference, which takes place at the National Motorcycle Museum, Birmingham on Tuesday 10 June, will also give road transport operators health and safety managers the ideal opportunity to update themselves on other industry initiatives, including an overview of key messages that form part of the Health and Safety Executive’s strategic plans. This years Safety in Logistics Conference is sponsored by Brigade Electronics and Volvo, and is supported by IOSH and IRTE. Places are available for FTA members at a cost of £325 plus VAT for the first delegate and £275 plus VAT for subsequent delegates, and for non-FTA members is £385 plus VAT for the first delegate and £345 plus VAT for subsequent delegates. For further information or to book a place, go to http://www.fta.co.uk/events/safety_conference.html or call the FTA Member Service Centre on 08717 11 22 22.